Lasers are useful, but most of them mount of rails and so require different holsters from the plain pistols. 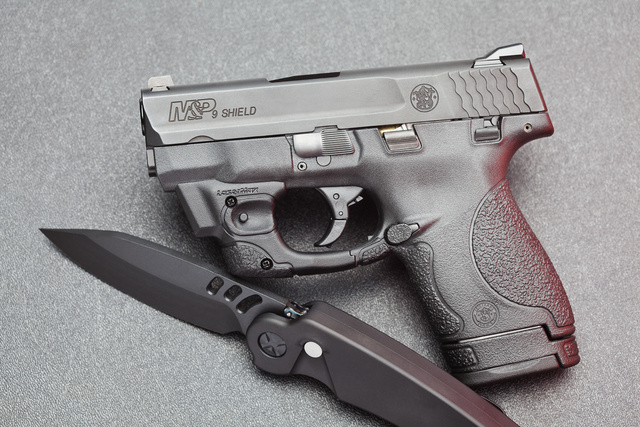 This M&P Shield with Lasermax CenterFire is a handy sidearm, but none of my old holsters would accommodate it. 1. Belt holster. The knife, by the way, is a chain drive design from Rat Worx. 2. 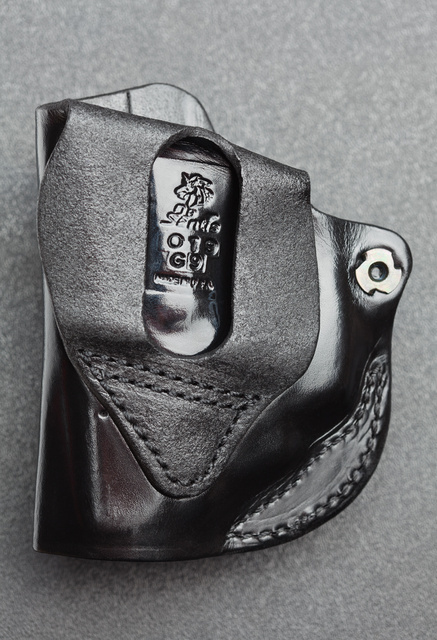 Soft tuckable IWB that works for shield and similarly sized designs. This one has the useful added feature of adjustable cant. And 3. 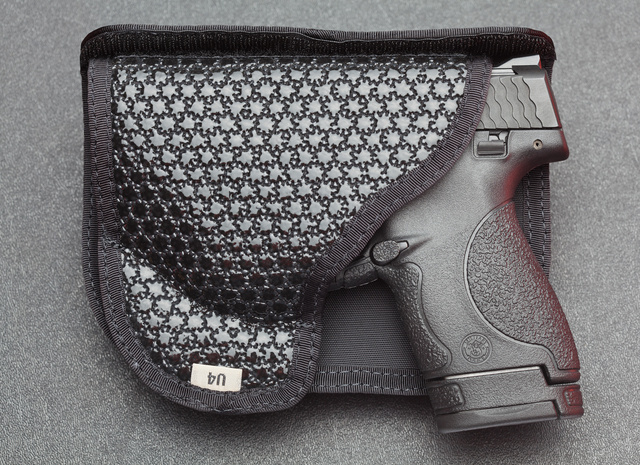 Superfly, a sticky pocket holster with a removable shape shield. 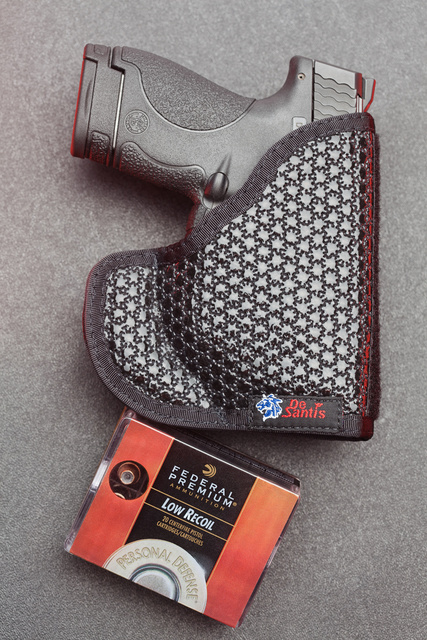 With the shield, it offers the greatest concealment, without a slimmer form. For the compact pistol like Shield, I would think Superfly to be the best choice. 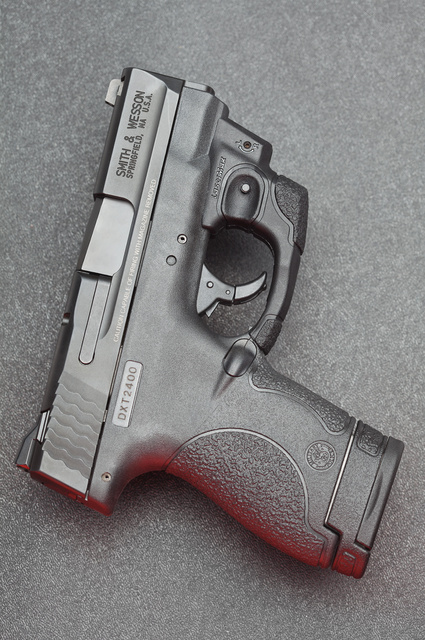 If IWB or belt carry is used, might a well carry an M&P Compact or full size. Your call though. 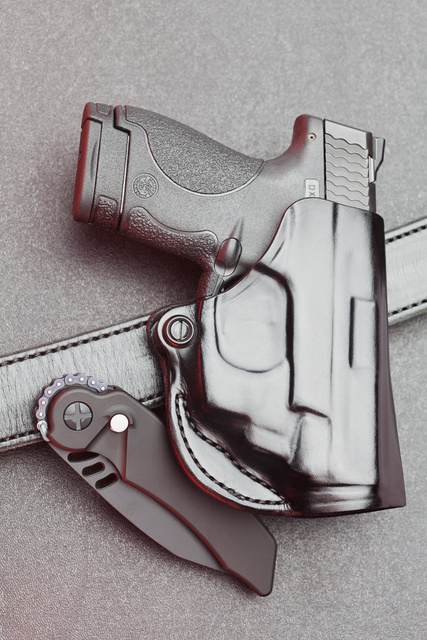 This entry was posted in holster, light/laser, pistol, self-defense, weapon and tagged 9x19, leather. Bookmark the permalink. That lasers really matches the gun well, gives it a new look. Stay safe. 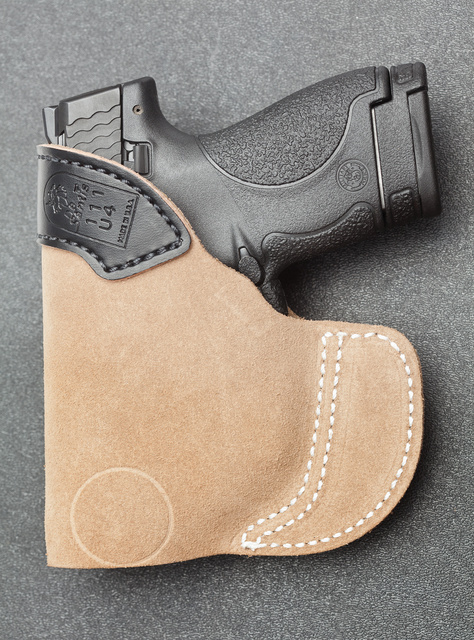 I carry a Kahr PM9 in a FIST K1 holster. When I bought a laser for it, it fit in front of the trigger guard, similarly to that pictured above. 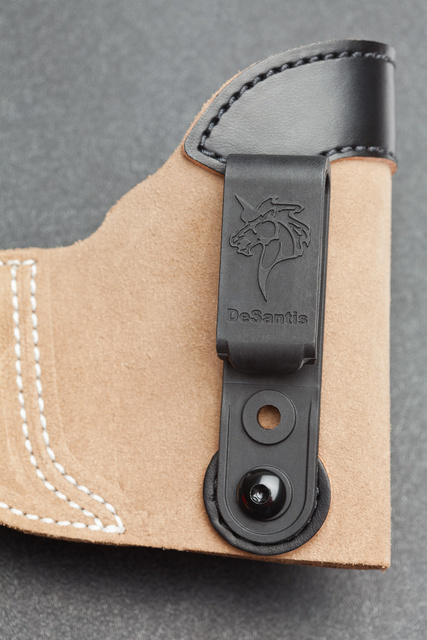 The K1 holster had a hard foam spacer, in front of the trigger guard. With that removed, the PM9 w/laser fits just fine. Any thoughts on the Shield? My preferred gunmonger tempted me with one in .40, last time I was there. I really like it. Low felt recoil, fairly accurate, great trigger, reliable. I mostly carry Boberg XR9S or L in this role for more barrel length and slightly smaller size, but the Shield is a subcompact 9 done right. I use it to train a lot of new shooters. Glock 19 with crimson trace green rail mount laser . It required a new holster but worth it.